The Syndicate played a role in the multi-player testing and balancing for Homefront for THQ/Kaaos Studios. A "for pay" group was hired to do product testing but was not delivering on expectations either in terms of quality or number of resources. The Syndicate was requested to join the team and provided an independent, second set of eyes on the product along with additional testers in game. Two major reports were filed, each well over 120 pages in length, sharing bugs, balance issues and gameplay concerns as well as listing what worked well. While the game launched with mixed reviews, The Syndicate was very proud of the efforts we made in improving the title over where it was when we first started working on it. 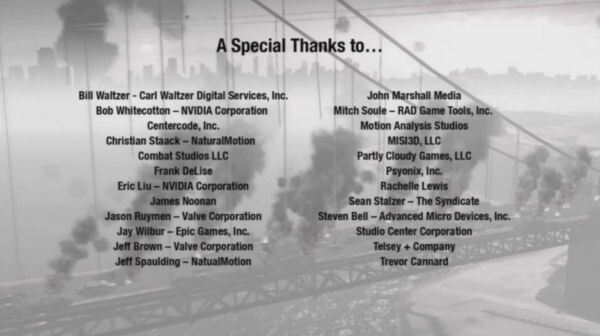 Here is a picture from the credits section of the manual.